Geery Frenstacky, originally from the Czech Republic has lived in the UK for 27 years. During this time he has worked and had claimed benefits. Although many details for his life are unknown we do know Geery developed serious Mental Health issues and has been sectioned several times. During one of the admissions Geery’s benefits were cancelled and without a passport he was unable to reactivate these benefits meaning he also struggled to access emergency accommodation. Geery was discharged onto the streets and was living in a car park near the University of Leeds. Due to language difficulties, lack of financial resources, positive friendships, daily mental health struggles and low cognitive ability Geery was unable to navigate the system to regain his passport, benefits and have appropriate accommodation. Four years ago Geery was living in a car park and was using heroin on a daily basis and was presenting in crisis on a daily basis. Geery stumbled across St George’s Church and after initial engagement, kindness, love and prayer he decided to go cold turkey in order to come off heroin. Lighthouse, a Charity and an Expression of Church for people on the margins, tried to link Geery up with a residential Christian community (Betel) but due to his mental health condition this didn’t work out. Lighthouse made a commitment that whilst Geery was engaging positively and not using drugs they would seek to support him. For 2.5 years every penny (£5,000 a year) which Geery received and every roof over his head was provided by Lighthouse or people connected with Lighthouse. With care support we were able to help Geery regain his passport (several trips to London) but on applying for benefits Geery was placed in the category of an new economic migrant and couldn’t access Job Seekers, ESA or Housing Benefit. The only help that could offered was to send Geery back to the Czech Republic. Geery cannot speak Czech and has no memory of the country. Without a plan in place regarding help and support in the Czech Republic Lighthouse deemed it would not be in Geerys best interest to assist his return when no plan was in place to ensure Geery could live with dignity. 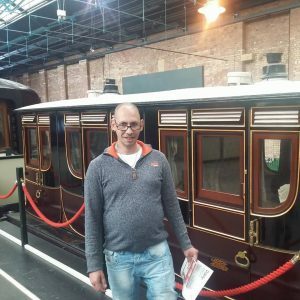 Geery began to improve in both his physical and mental health and began volunteering for Lighthouse by serving coffee (the best in Leeds!) at our gatherings. Eventually, by continuous requests to Adult Social Care we were able to facilitate a human rights assessment so that Adult Social Care have a responsibility to provide care and support for Geery. For the last 15 months Adult Social Care have been able to provide funding to Lighthouse so that Geery can live independently and have 14 hours care support a week. Without support from Lighthouse it is likely that Geery would be another statistic of those who can’t access support and have died on the streets. Geery’s story is a good news story but it illustrates some of the gaps in the system for the most vulnerable. When Council, Adult Social Care work closely with charities like Lighthouse we can see more of those who fall through the net being supported and being able to flourish as individuals.